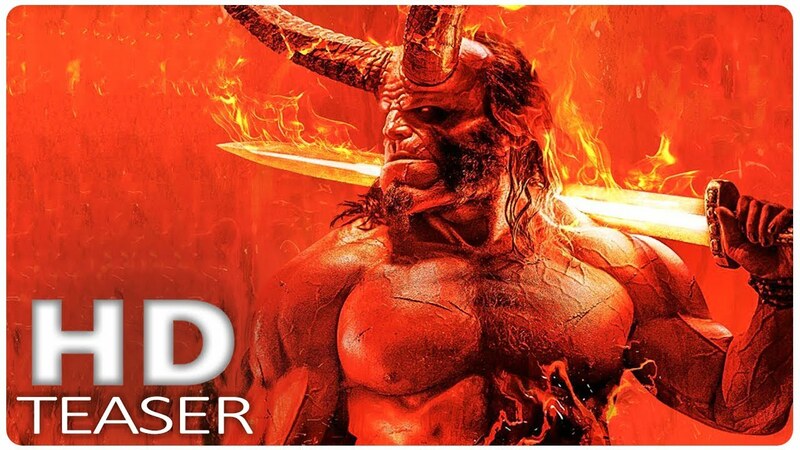 The reboot of Hellboy starring David Harbour released its first trailer yesterday evening, possibly forced out early due to the leak earlier in the day. Containing some groovy as hell (pun fully intended) 80’s synth pop sounds we get introduced to Ian McShane and Big Red and a very high level summary of the fight between good and evil being near its end now that Hellboy is here. I quite enjoyed the 2004 and 2008 movies and within 30 seconds of the trailer we get a quick scene of a cop trying to shoot at Hellboy before he tells them off for being on the same side – very reminiscent of Ron Pearlman’s performance and has put me more at ease with this. By the looks of things there will be plenty of giant CGI monsters to fight, and we get a quick glimpse at our main enemy – Nimue the Blood Queen played by Milla Jovovich. Stand Out Moment – probably at the minute mark when some goon gets a bullet to the head.